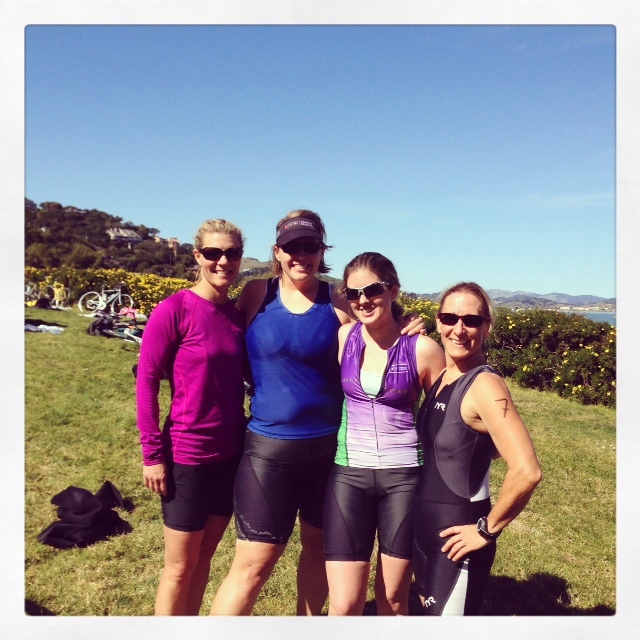 The Top 10 Reasons Why I do Endurance Sports – Where's The Tofu? The runner’s high. Or the cycling high, the hiking high. That crazy, amazing, indescribable feeling you get after a sweaty workout. I’m addicted to it! I’m happier, less stressed, and more productive throughout the day after a swim, bike, run, or gym session. The euphoric feeling is intensified after crossing the finish line of a hard race! Staying in shape now and for life. I have the tools and the passion to continue a healthy lifestyle… for life! Not just to get me to the next race and bonk. Health, fitness and wellness are life-long pursuits. Meeting new people. Team in Training, Crossfit, spin classes, SF2G bike to work group, Sports Basement cycling groups, are all great ways I have met and connected with like-minded people. And enjoying a post-race beer and food with those friends is wonderful!! Seeing every nook and cranny of the Bay Area. I had no idea how many farms there were in the Bay Area! I also didn’t realize how beautiful and enchanting this place is. I pinch myself at the top of Marshall Wall or at Big Rock, or Diablo or Tam. This place is seriously gorgeous and I’ve been having so much fun exploring it on bike and on foot. Exploring new cities, states, and countries. When I was in Stockholm I joined the hotel running group and went on a tour of the city. For my first triathlon I got to go to Hawaii for the first time. I’ve run all over San Diego, Chicago, Detroit, Lake Tahoe, and Ann Arbor and the list goes on. Helping worthy charities. 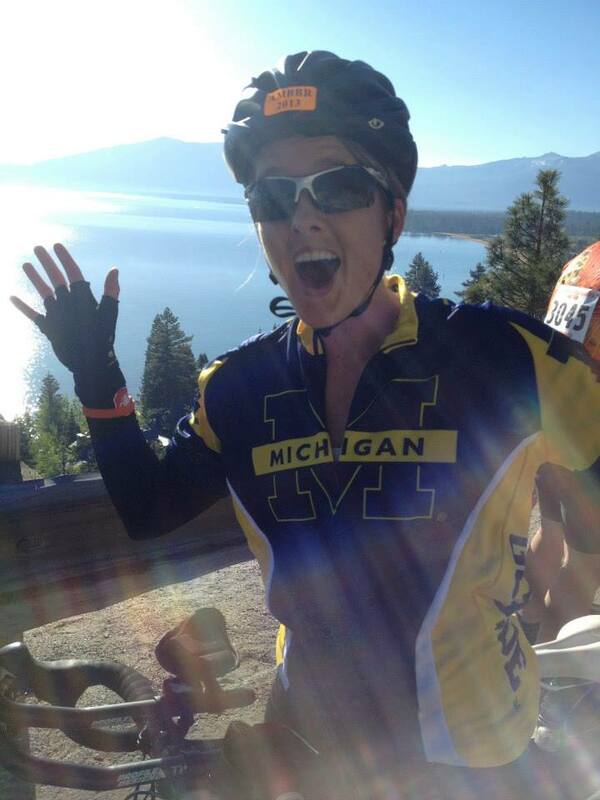 Endurance events have given me a chance to swim/bike/run for special causes, and not just for myself. I have raised over $17K for the Leukemia and Lymphoma Society and am currently raising money for Farm Sanctuary. Burritos!! I think I crave Chipotle’s vegan burrito on a daily basis. Seriously, what do they put in those things to make them so tasty? Well, after a 10 mile run or a 70 mile bike ride, I certainly don’t feel bad about indulging in my favorite foods like burritos, pad thai tofu (no egg), Plant Burger’s, falafel wraps and dark chocolate! Doing something I didn’t think was possible 6 months ago. It’s a great sense of accomplishment when you do something that you didn’t think you could do. Completing a triathlon starting in the choppy ocean after learning to swim only 5 months before the race? Or riding 103 miles with 10,000 feet of elevation gain after only 4 months of owning a road bike? Crazy!! But I did it. The great feeling of improving, getting faster, and setting PRs. With more and more training comes more efficiency and better times. I’ve done 13 half marathons and though I can’t say that every one was faster than the last, I always learn something new during each race and I always try and do better than the last time. My second half ironman was an hour and 15 minutes faster than the first! What a great feeling that was, to know that my hard work paid off. Having more energy. When I go out for a run, I have more energy throughout the day. I’m happier, I’m more energized, and I feel great!! What’s on your list? Anything that I missed? 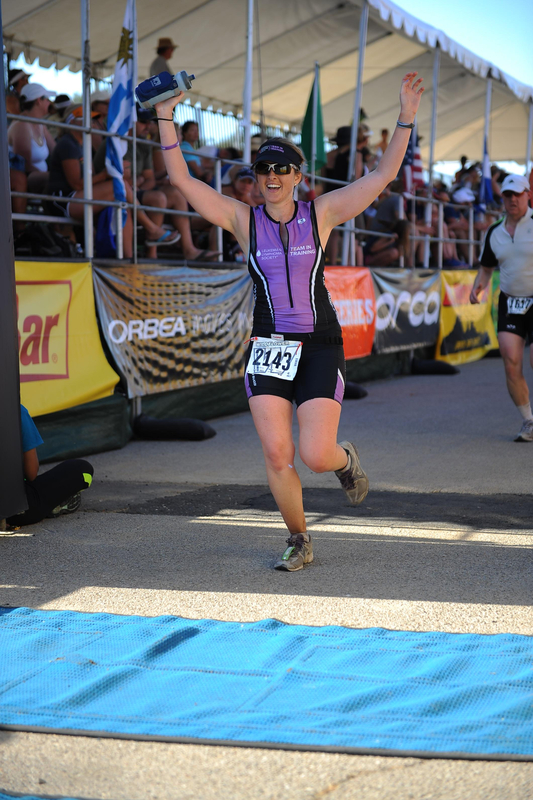 Finishing my first Half Ironman distance triathlon! To limit Friday night binge drinking? I love this–100% agree with all of these, Crohde! I completely agree with all of the above! I also I especially LOVE exploring new areas and making new friends. There is something magical about finding out that you share a love of endorphins that makes me smile. I love comparing race schedules, routes, training plans and training with folks. I definitely would not have been able to finish my first 70.3 without the help of some much more experienced cyclist friends!